Lightly butter a cake pan and spread the batter in. Without cleaning your food processor, combine the butter, sugar, almonds, hazelnuts and salt. Whiz until you have a coarse crumbly mixture, like incredibly chunky peanut butter. Spread this over the top of the batter. It’s ok if they combine a little bit. Bake for 25 to 30 minutes, until the top is browned and the edges are pulling away from the pan. 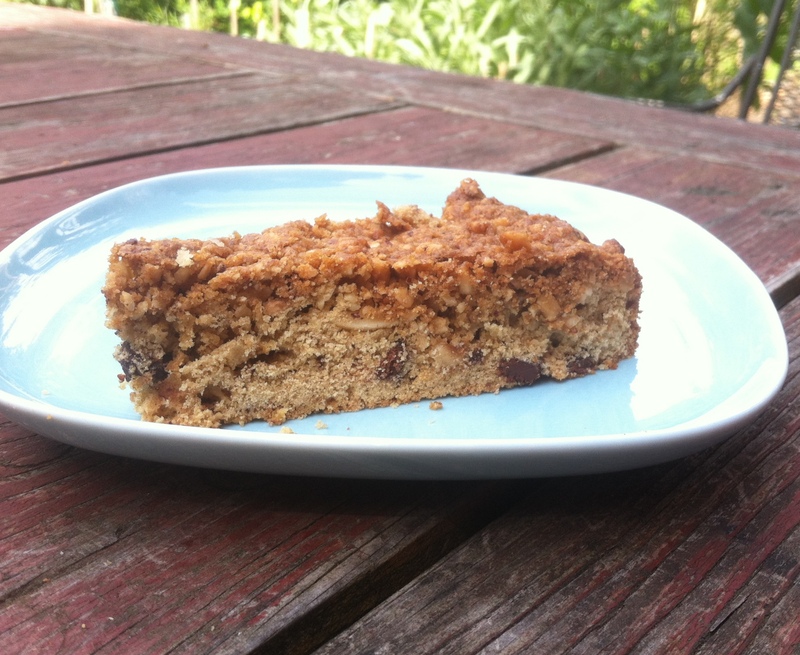 This entry was posted in cake, chocolate, dessert, recipe and tagged almonds, cake, coffee cake, crunch cake, toffee cake by Claire. Bookmark the permalink. I had to google it, but I love the idea! Really beautiful! My new ideal profession. nice topping, sounds delicious and simple. goodjob!